I have been blessed to spend the last 30 years of my walk with Brothers and Sisters in Haiti, including a trip last year and this year to meet our friends of the partnership with Grace En Sion. I have found that GOD is always leading and teaching me out of his Word, but he also has been calling me beyond Erie, Pa.
At 67 years of age, GOD continues to stretch me. After a couple of years of serious health problems, GOD said I was not done. My previous years, GOD asked me to utilize my building skills in His work in Haiti. 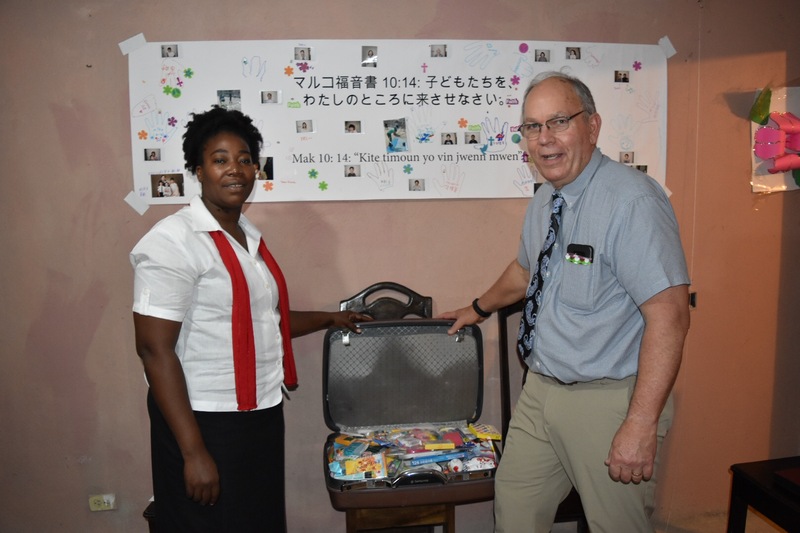 This year God has humbled me again by calling me to work with and lead a team in starting a relationship between our new partner in Oono, Japan and connect them with Grace En Sion Haiti . This is a stretch for me, as it is not something normally in my wheel house, but God has Blessed me with a wonderful wife, family and strong Christian friends for guidance and support. I am so blessed to stand side by side with ALL our Brothers and Sisters around the world. That has been a true blessing. I am strengthened by them and am being led onward by GODS LOVE AND WORD.